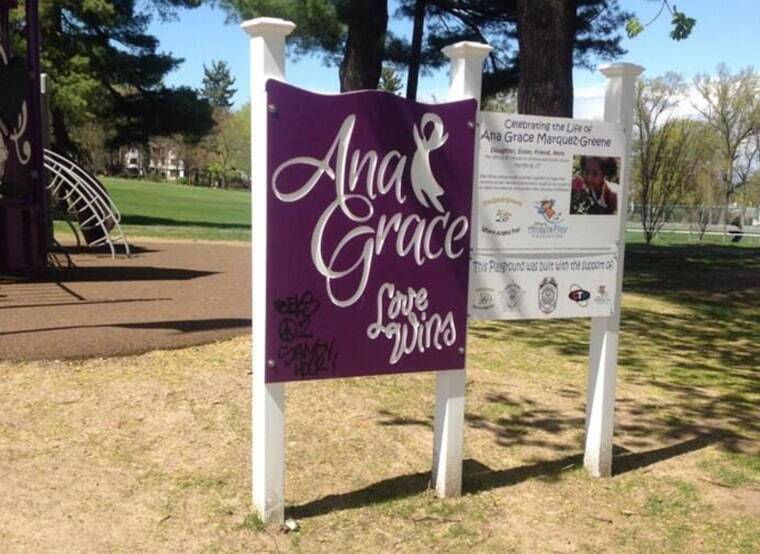 Police are investigating after a playground built to honor a Ana Grace Marquez-Greene, a victim of the shootings at Sandy Hook Elementary School, was vandalized overnight. The purple playground opened up last month as part of the Sandy Ground Project, which has been building a playground for each of the 26 shooting victims. Writing was found scrawled on the playground sign Sunday, May 4. Police said they believe the incident happened overnight. Ana's playground was covered in her artwork, and the ribbon cutting was held on what would have been her birthday.